When winter arrives in London, all we want to do is wrap up warm and tuck into all the comfort food the city has to offer. 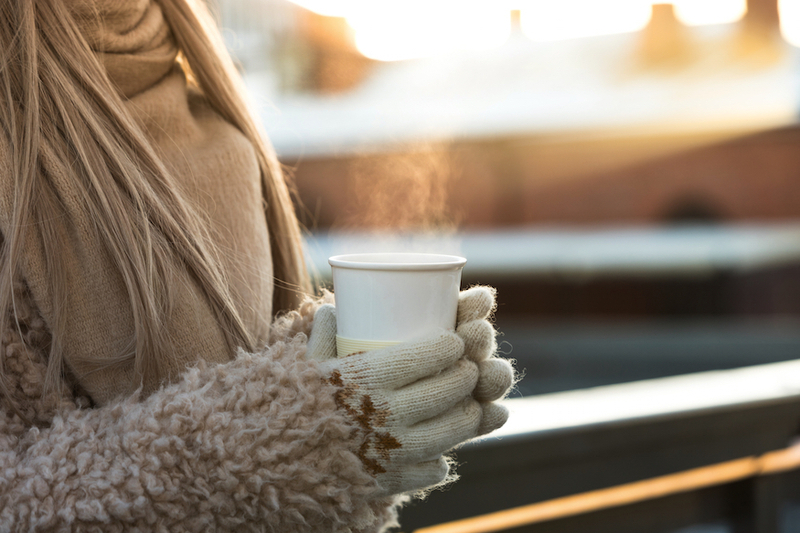 From hot chocolates to roast dinners, and melted cheese to chocolate fondues, check out the best winter warming food and drink across the capital. 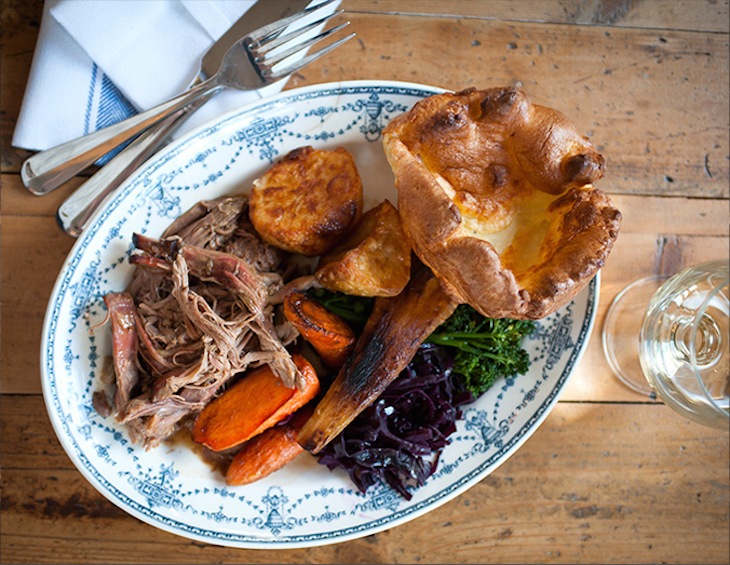 When Sunday rolls round and you need warming from within, tuck into one of London's best Sunday roasts. Roast dinners vary so much in quality, and it can be hard to find a truly decent one, with tender meat, crispy spuds and fluffy Yorkshires — so suss out your nearest on our map. Veggies and vegans needn't miss out on the fun — check out these recommended vegan and vegetarian roast dinners in London. Nut roasts, mushroom wellingtons and other meat substitutes all feature, along with those delicious roasted veggies, thick gravy and Yorkie puds. Sweet, smooth, warming chocolate, served up in a mug which you can cup in your chilly hands. Yup, we're talking hot chocolate. Warming cocoa drinks can be found in chocolatiers, cafes and book shops all over town — these are just a few of our favourite hot chocolates in London. Celebrating something special? Having a really bad day? Feel like pushing the boat out? 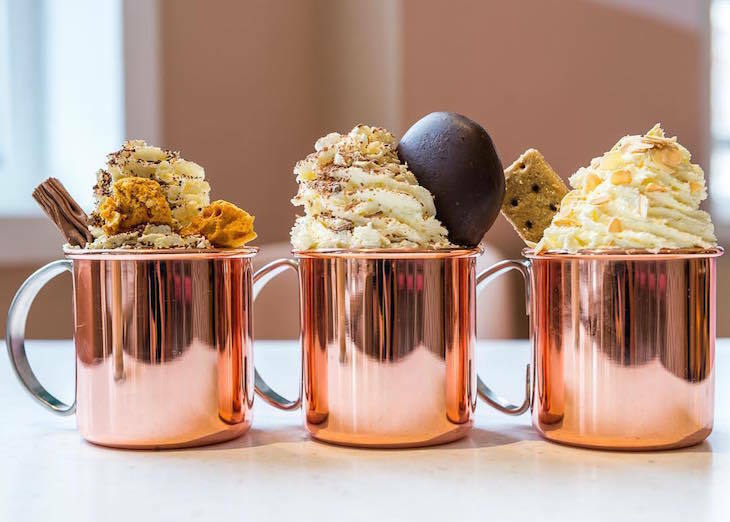 You need one of London's most decadent, luxurious, ridiculous and OTT hot chocolates. Think whipped cream, flakes, marshmallows — the works. Cheese or chocolate? Why not both? 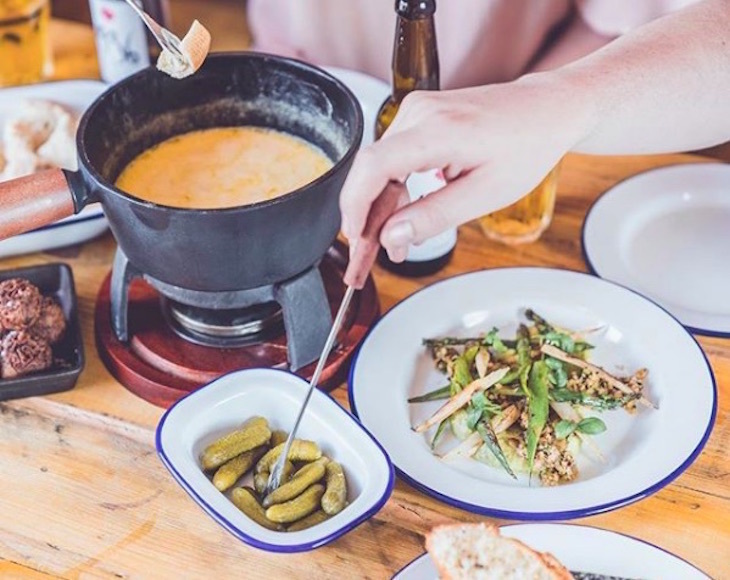 The best cheese fondues in London can be found at fancy restaurants, cheese specialists and winter pop-ups across the capital. Afterwards — if you have any room left — dip all the marshmallows, strawberries and bananas you can handle into London's best chocolate fondues. From high-end at Harrods to veggie dining in Angel, pick from milk, dark or white chocolate — or be a devil and mix your flavours. Fed up of fondue? 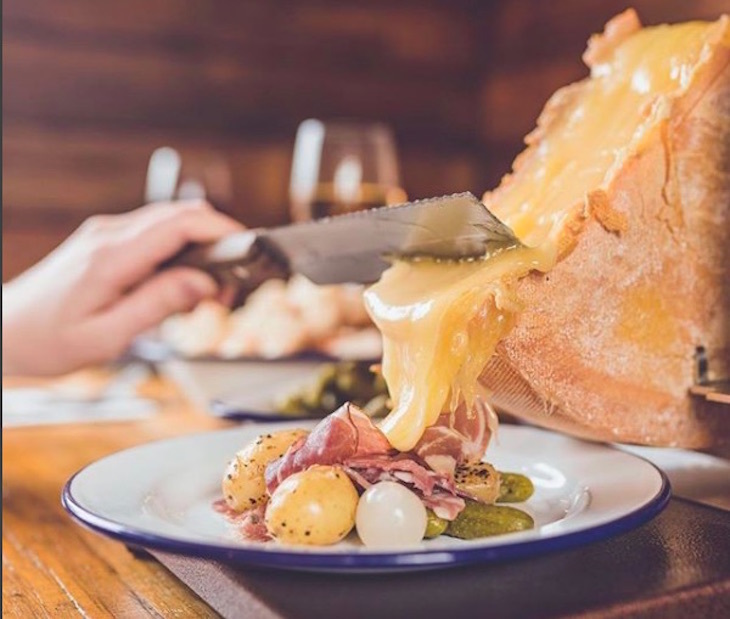 No, of course you're not, but for an alternative way to ingest melted cheese, tuck into the best cheese raclettes in London — rich, smooth cheese, melted and scraped over bread, vegetables and more. 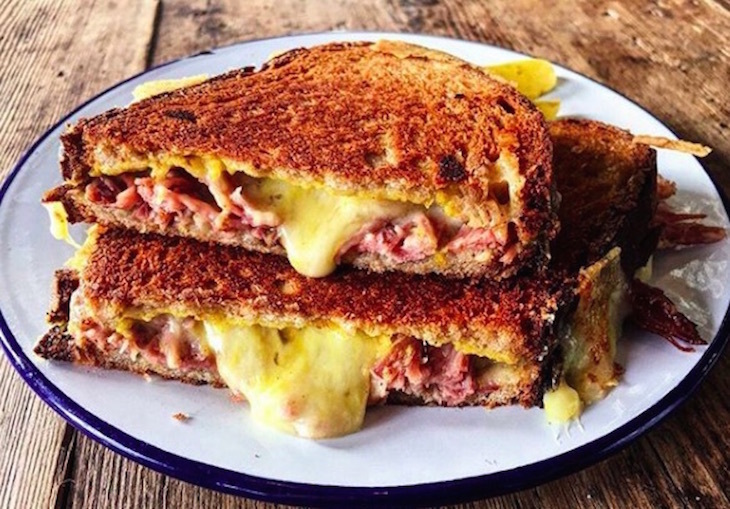 If raclette and fondue haven't satiated your craving for hot, melty, delicious cheese, we'll let you into where to get the best cheese toasties in London. Whether you're after a trusty cheese toastie, or something a bit more gourmet — just don't burn the roof of your mouth. Otherwise, make more of a meal of it with London's best mac 'n' cheese. Whether you're out for a bracing walk through a London park, meeting up with friends or getting stuck into some Christmas shopping, you can't go far wrong with a pub trip. 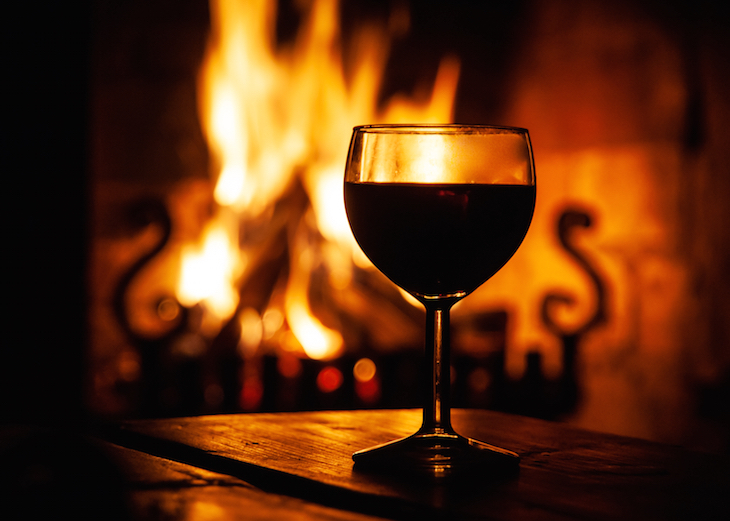 These cosy, traditional pubs all have roaring fireplaces for curling up next to. For more food and drink inspiration, excellent pubs, bars, restaurants and cafes in London, take a look at our page of the best food and drink in London.